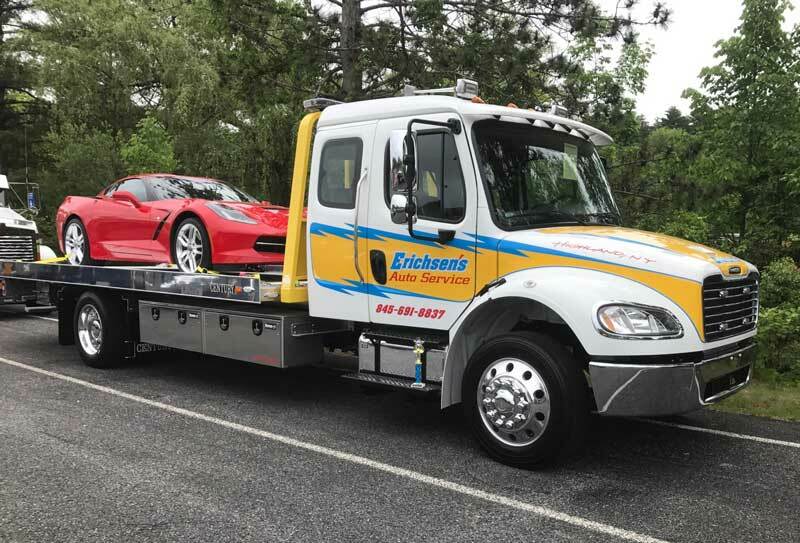 Here at Erichsen's Auto Sevice, our AAA certified repair station and NAPA AutoCare facility, located conveniently off state Route 299 near New Paltz, and only 4 miles from the NYS Thruway entrance, performs a variety of automotive repair services, ranging from oil changes and other preventive maintenance services, to complete engine and transmission replacement. We also have onsite a wide variety of tires, both new and used, to fit many vehicles. We offer on a regular basis, vehicles available for purchase if that clunker you have is on its last legs, and as such, we are a licensed dealer, repair, and state inspection facility by the NYS Department of Motor Vehicles and also employ ASE certified technicians. Feel free to browse our entire website to see what we have to offer, or we invite you to come on in, view our services and visit our facilities. Car shop open from 8am-5pm Monday through Friday. Diesel shop open from 8am-5pm Monday through Friday. We are here to provide the best services anytime, day and night!